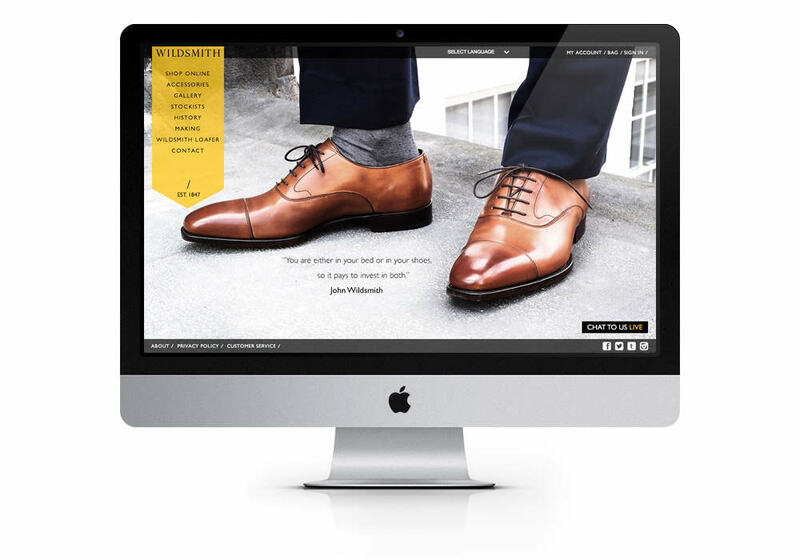 New Magento E-Commerce store for shoe company with a century old heritage. 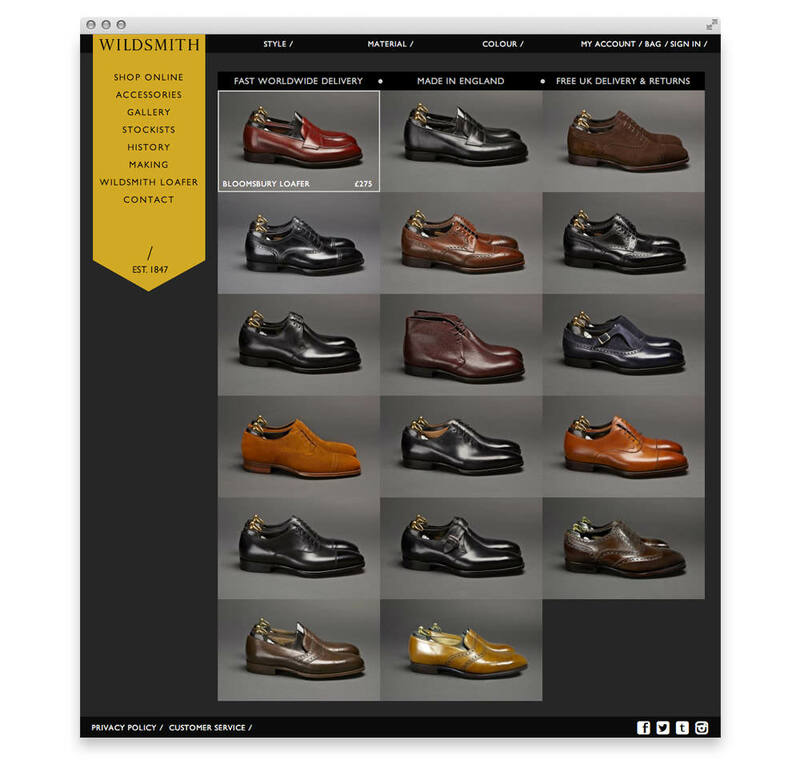 Wildsmith – a handmade shoe company with heritage. One of England’s best known handmade shoe companies, boasting quality and tradition and a name that’s over 150 years old. 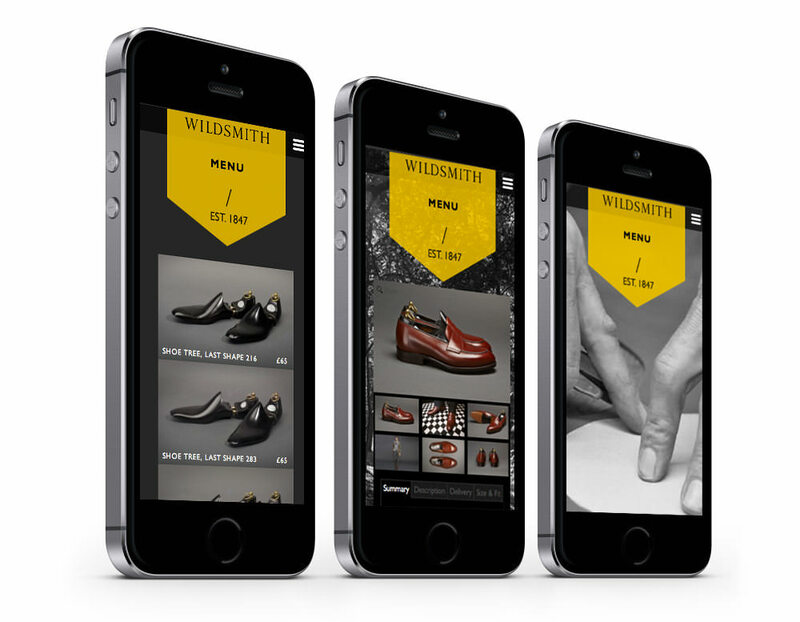 With an audience of distinguished gentlemen, generations of suited grandfathers, fathers and sons, modern and elegantly dressed bankers, and members of the royal family, parliament and celebrity elite, an e-commerce, responsive site – ultra-modern in it’s build and usability, yet beautiful, rich and elegant in it’s appeal – was required to reflect the Wildsmith’s classic brand.